If change is to come it will come from us. We believe in a government of the people, by the people, and for the people. We believe adherence to the Constitution will restore our freedom and position in the world. We will uphold, protect and defend the Constitution of the US. We believe everyone should be able to run for office. We the people, have the power and the will to take money out of politics. 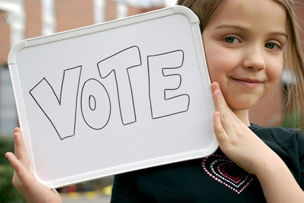 We believe in hand counting the ballots in every election and will volunteer to do so. We will no longer accept computer generated Presidents, Senators and Congressmen. 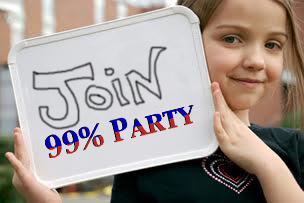 This is your opportunity to run for Office at the Federal, State, County and local level on the 99% party ticket.. 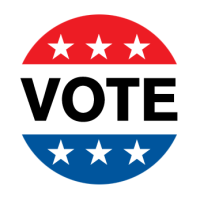 This is your opportunity to work in the most important elections in our lifetimes.